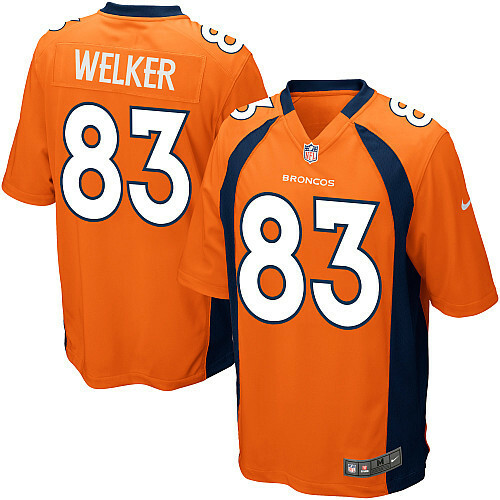 Jon Heath : Broncos Wes Welker Jerseys Are Now Available! Broncos Wes Welker Jerseys Are Now Available! In March, the Denver Broncos made a splash in free agency by signing New England Patriots wide receiver Wes Welker to a two-year, $12 million deal through 2014. The signing gives quarterback Peyton Manning a third 1,000-yard receiver to work with, as Welker joins Demaryius Thomas (1,434) and Eric Decker (1,064) in Denver. Last season, Welker caught 118 passes from New England's Tom Brady for 1,354 yards and six touchdowns. The last time Manning had three 1,000-yard receivers was in 2004, when Reggie Wayne (1,210), Marvin Harrison (1,113), and Brandon Stokley (1,077) all surpassed the century mark as the Indianapolis Colts finished 12-4 and Manning was awarded league MVP honors. No wonder Broncos fans are so excited about Welker joining Denver's offense. Recently, Welker's new Denver Broncos jersey hit the shelves and has been a hot buy. Welker's game jerseys are going for $99.95 on NFLShop.com. Welker will return to New England with the Broncos this season when Denver plays the Patriots on the road. View all of Denver's 2013 opponents here.